Meet the New Zealander tearing up the streets of Bushwick. All photos courtesy of Owen Dippie. The Bushwick Collective is known for hosting a rotating roster of street artists from around the world. 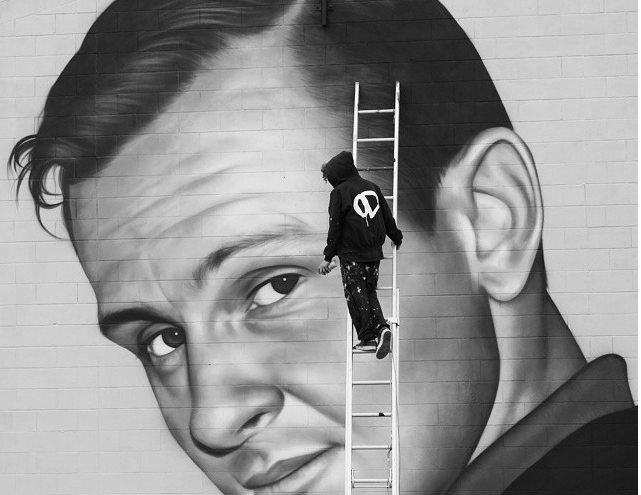 Owen Dippie, aka OD, is one of those artists. 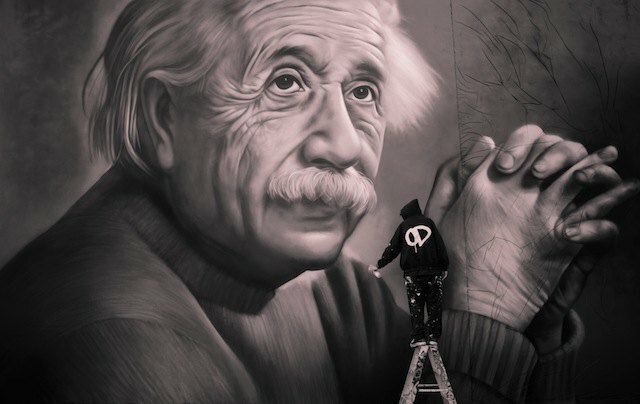 This New Zealand-born artist has painted detailed and rich murals of icons like Albert Einstein, Notorious B.I.G, Nelson Mandela, and even Vermeer's Girl with a Pearl Earring. 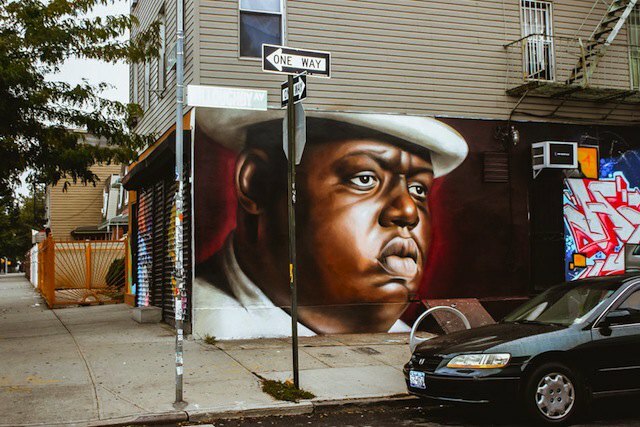 He created a Biggie mural at Queen's legendary graffiti spot 5 Pointz (and got married on its roof) before its closure last year. His street art graced Bushwick once before in 2013, but Dippie decided it was time to go big for The Bushwick Collective. Making his New York debut with a solo exhibition at the Low Brow Artique through July 5, I spoke with the artist about collaborating with The Bushwick Collective, his influences, and his new Jay Z-Jean-Michel Basquiat mural on Troutman St.
BS: You're from New Zealand. How did you end up painting a mural in Bushwick? OD: “I try to come out to NY every couple of years and paint where I can, and having an interest in the scene I've seen a lot happening in Bushwick. Joe [Ficalora] is a stand up guy so it was a no brainer to paint with The [Bushwick] Collective. 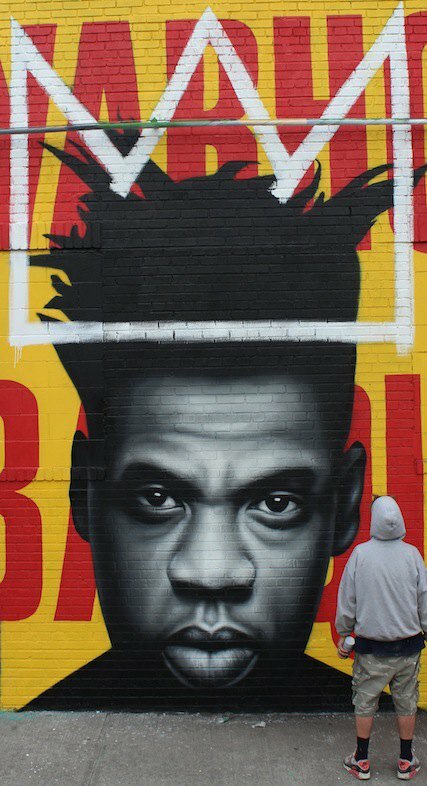 BS: Where did the idea come from to paint a Jay Z/Basquiat mural? 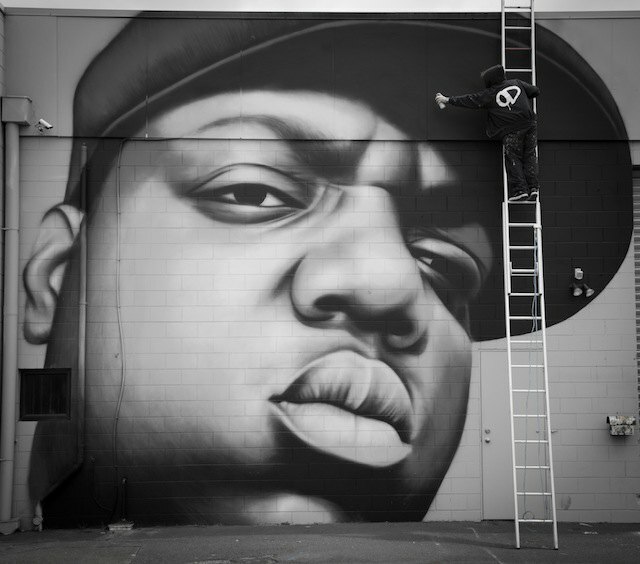 BS: How was painting your mural at The Bushwick Collective Block Party? Do you prefer working solo or in front of a crowd? OD: "[I'm] not big on crowds and painting in front of them kinda makes me feel like a monkey on show, but I did enjoy walking by and listening to people's responses to the work. BS: What are your main influences - art and otherwise? BS: Tell me about your exhibition at Low Brow Artique. What will be the focus? 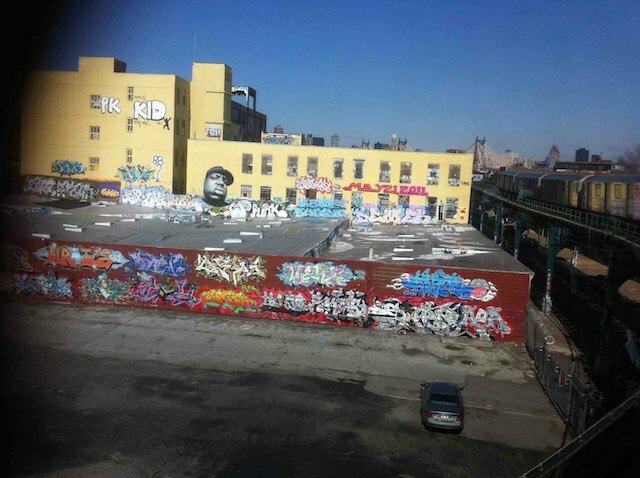 Can you spot Biggie in 5 Pointz? BS: What's next for you? Check out Owen Dippie's work through July 5 at Low Brow Artique 143 Central Ave., Bushwick. Follow him @owendippie.